Wanaka's winter tourism industry is set to receive a "massive" boost with a new charter flight service from Wellington and Christchurch ready to fly into the resort from July 1. Auckland-based charter company FlyDirect will operate three aircraft on a schedule from the two cities, with a 35-seat Dash 8 aircraft from Christchurch and a 50-seater plane from Wellington. FlyDirect.co.nz director Jef Kay said the company had been working for the past year to firm up package deals with Wanaka's accommodation providers, tourism operators and businesses. A daily charter from Christchurch would offer morning and afternoon flights. Daily morning trips from Wellington would be boosted around the weekends with afternoon flights also available from the capital on Fridays, Sundays and Mondays, he said. About 25 full-time jobs would be created by the company, with offices and a terminal capable of catering for the expected 85-person capacity flights soon to be installed at Wanaka airport, Mr Kay said. Lake Wanaka Tourism general manager James Helmore called the new charter flight service a massive boost for the local tourism industry. "It's fantastic. There's no other way to describe it. "Increasing flight capacity into Wanaka is our No 1 strategic goal," he said. Charter flight packages included compulsory accommodation, with more than 30 options available at luxury lodges, hotels, motels, and backpackers, Mr Kay said. "We're not a commercial airline service. People will have to buy a package when flying from Wellington and Christchurch," he said. However, outbound passengers flying return from Wanaka would be catered for to allow local business people to conduct business in either city, Mr Kay said. Wanaka Chamber of Commerce president Leigh Stock said the "back-fill" flights from Wanaka were an opportunity to see if an uptake from residents using the service would encourage commercial air operators to increase flight capacity. flyDirect launched its website on Monday and early inquiries about the service had been promising, Mr Kay said. Air New Zealand has cheap flights on its whole network at present... There seems to be cheap flights listed on all direct services but even doing a booking Hokitika to Auckland, for example, you can get $ 136 which is not too bad! You can find them on the www.grabaseat.co.nz website. The sale ends today the 30th! From 1 July 2010, flyDirect will be providing direct daily flights from Wellington and Christchurch to Wanaka. Based in Wanaka flyDirect gives New Zealanders an opportunity to fly direct into Wanaka from both the North and South Islands. flyDirect will utilise aircraft operated by New Zealand’s most experienced regional airlines – SkyLink, Vincent Aviation and Air Chathams offering multiple direct daily flights year-round. *Frequency may increase to daily subject to demand. Please use the Flight Search to check for additional flights on your preferred travel dates. 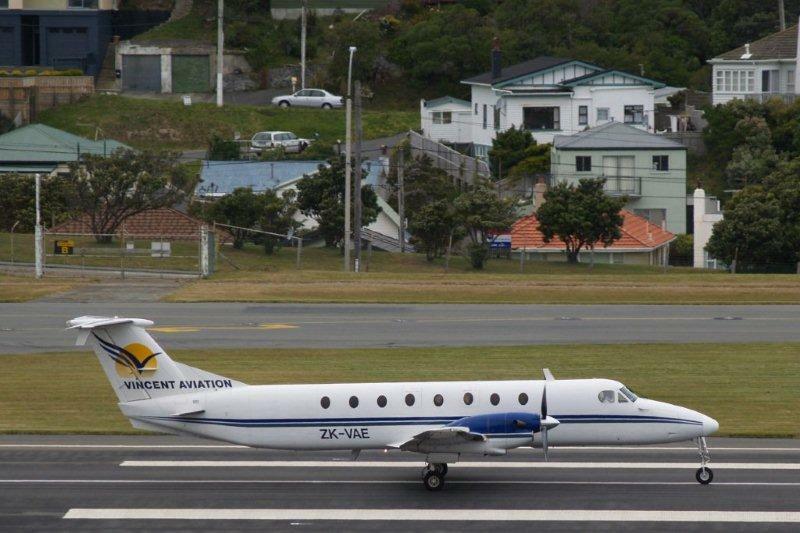 Vincent Aviation was a Wellington based charter company that was founded by Peter Vincent in 1992 and operated a variety of services within New Zealand but also in Australia and East Timor. This post focuses on the New Zealand operation which saw some exotic aircraft types being operated including a Douglas DC-3, Bell 212s and de Havilland Herons. Vincent Aviation’s main work in New Zealand was charter or niche specialist operations. At times, as part of their many varied operations, they also offered scheduled services. In late 1991 the company intended to start services to the Chathams Islands using De Havilland 114 Heron aircraft, ZK-TAJ which the company purchased in June 1991. Delivery was delayed while repair work was carried out on the spar, the aircraft finally arriving in early February 1992. By the end of the month, however, major corrosion had been found in the wings and the aircraft was grounded. A replacement Heron was found in Australia. VH-KAM, of Airlines of Tasmania, was leased by Vincent Aviation, the Heron arriving on the 26th of June 1992. At this time both Mount Cook Airlines and Air Chathams were operating services to and from the Chathams. 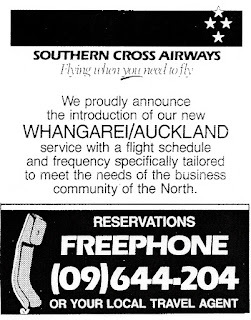 The Heron went out on the 21st of August 1992 but the scheduled service to the Chathams never eventuated. Instead, a scheduled scenic service Wellington-Christchurch was offered. 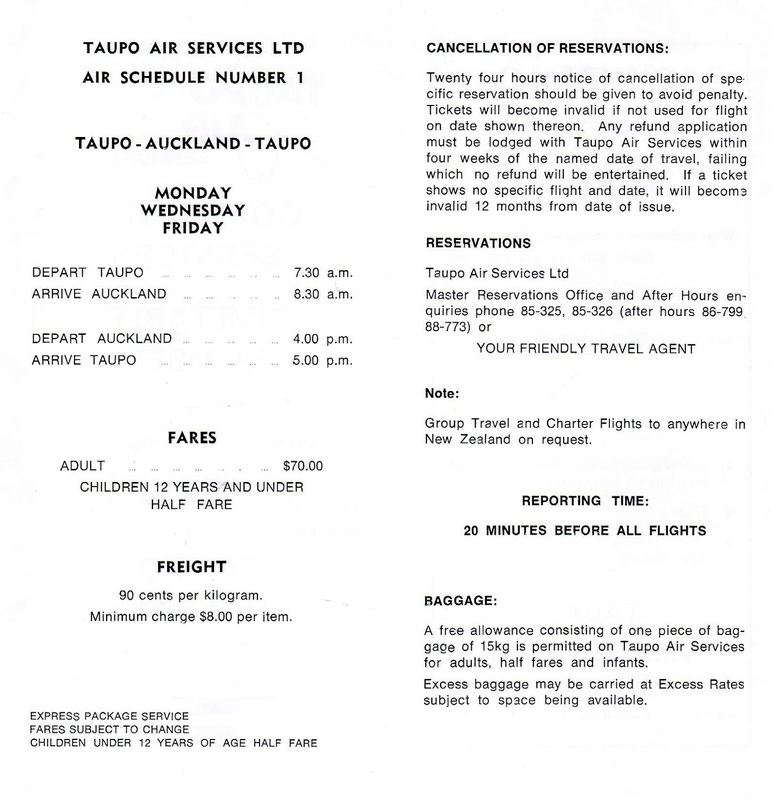 The information sheet for the service gave a start date of 18 September 1992 with a flight offered each Friday, leaving Wellington at 8.30am and Christchurch at 11.00am. 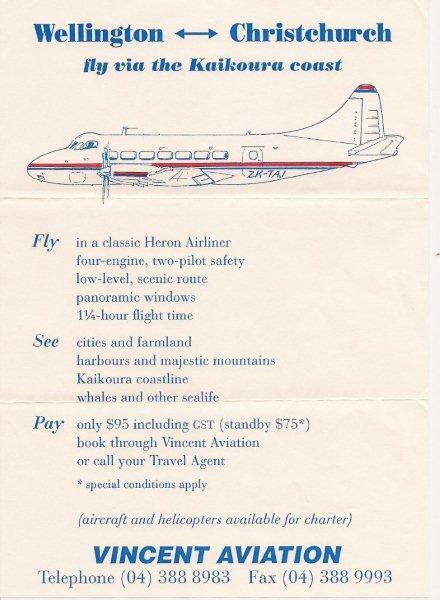 The Heron was operated by Vincent Aviation until August the following year. The Australian de Havilland 114 Heron VH-KAM at Dunedin on 17 July 1993 while on a charter to a rugby test. 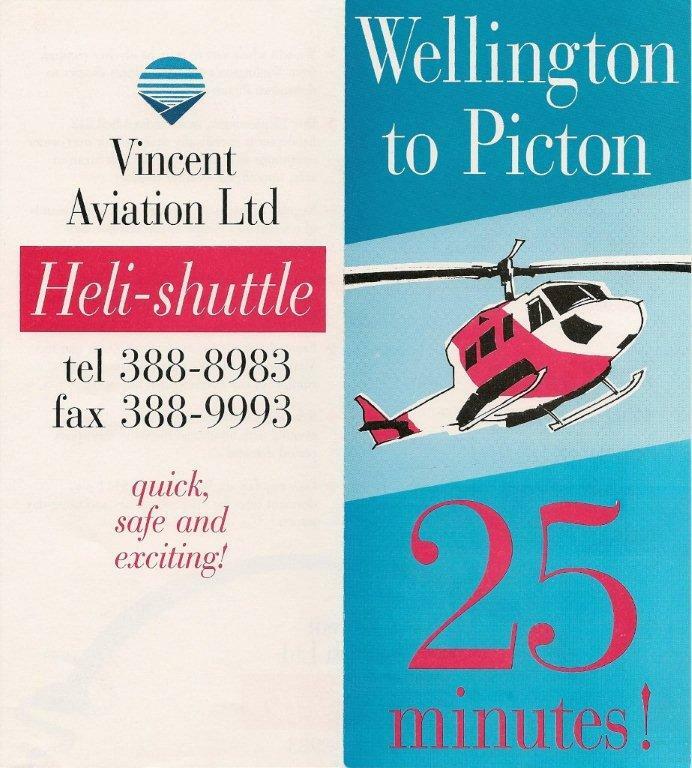 In the summer of 1991/92 Vincent Aviation planned a Wellington-Picton passenger service in a joint venture with Helicopters (NZ) Ltd using one of their Bell 212 helicopters which could carry twelve passengers. The timetable showed flights would be initially on Friday and Sunday evenings with a fare of $111. Additional flights were scheduled over the Christmas holiday period. Again, this service did not seem to last long. On the 8th of April 1994 Douglas DC-3 VH-CAN flew the Tasman to become ZK-AMY on the 24th of August 1994 for Vincent Aviation. The aircraft was used for charter and tourist work based out of Wellington until mid-1998 when it was placed in storage at Palmerston North. 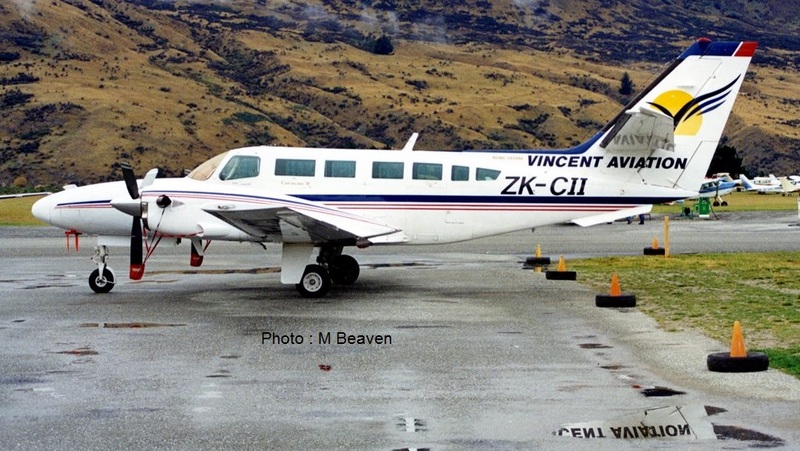 Following the collapse of United Aviation in 1997 Vincent Aviation picked up a number of courier flights that and ran a schedule in the lower and central North Island. Using mainly their Cessna 402s and Piper Pa34 Seneca ZK-DCP they had an early morning service departing Palmerston North for Wairoa and Gisborne at 5.00 a.m. In the later afternoon/early evening the aircraft flew a Gisborne-Wairoa-Napier-Palmerston North service. There was also an afternoon Wellington-Palmerston North-New Plymouth return service. Their timetable noted, “this is a scheduled freight service and the freight takes priority, therefore it is important that you arrive on time or we may leave without you.” They continued these routes until into 1999. On the 28th of of September 1998 Piper Pa34 Seneca ZK-DCP was spending the day in Gisborne between its early morning and evening courier flights. Sporting the original Vincent Aviation logo Cessna 402C ZK-VAC at Nelson on 6 December 1996. Two years later ZK-VAC ditched in Foveaux Strait on the 19th of August 1998 while flying for Southern Air. From October 1999 Vincent Aviation flew the Wellington-Takaka route for Takaka Valley Air Services until Takaka Valley Air Services closed down operations in early 2000. 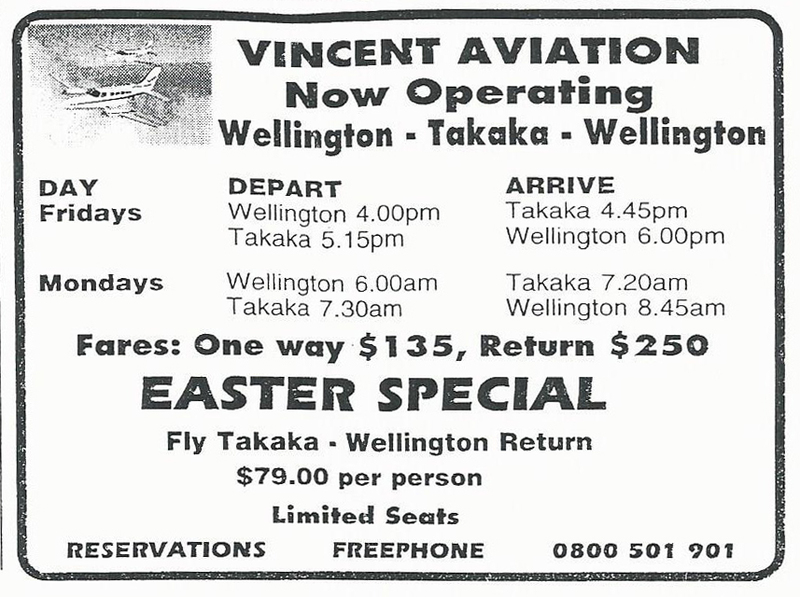 On the 7th of April 2000 Vincent Aviation then flew the Wellington-Takaka route in its own right. The company offered twice-weekly flights from Takaka to Wellington on Friday afternoons and Monday mornings, using either a six-seat Piper Seneca or a seven-seat Cessna 402. The Takaka flights proved to be uneconomic and they ended in early February 2001. Managing director Peter Vincent told the Motueka-Golden Bay News that apart from a short period just before Christmas and two weeks after, the flights had not been well-patronised. Mr Vincent said while some flights had been profitable the quieter flights had lost money. "It just becomes not economically viable." He said the airline would continue to offer on-demand or charter flights where "our return for any particular flight is assured". The airline has been using planes from its Wellington to Nelson newspaper run to carry on to Takaka and then back to Wellington. Even using those flights, it was not possible to match the airline's normal charter rate and on top of that was the cost and time of maintaining a booking system 24 hours a day. 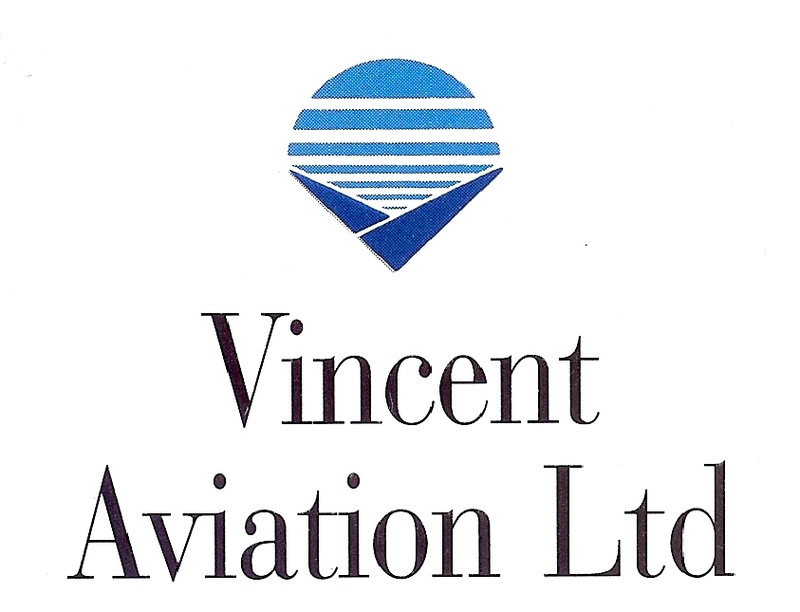 Vincent Aviation took over the Dominion flights from Flightcorp on 1 October 1999. Initially Vincent Aviation's Piper PA34 Seneca ZK-DCP was used but later the company's Cessna 402 was also used. The seats remained in the Seneca with the newspapers in the nose locker or on the seats with a green net to tie them down. The Cessna 402 would have some or all seats removed if the load was large with the long nose locker used for weight and balance purposes and also the wing lockers. 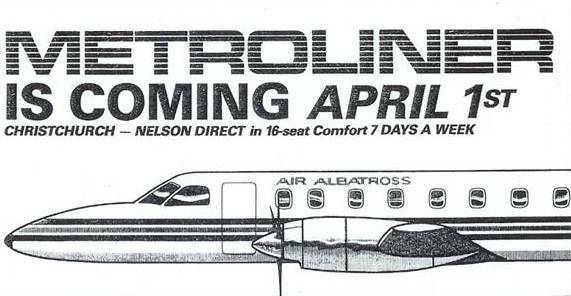 By the early 2000s Vincent Aviation was advertising seats of the Nelson to Wellington flight in the local newspaper. Vincents used the Aero Club for check in for its passengers. The airline had a couple of regular passengers but flights were mostly comprised of people wanting a cheap flight to Wellington. 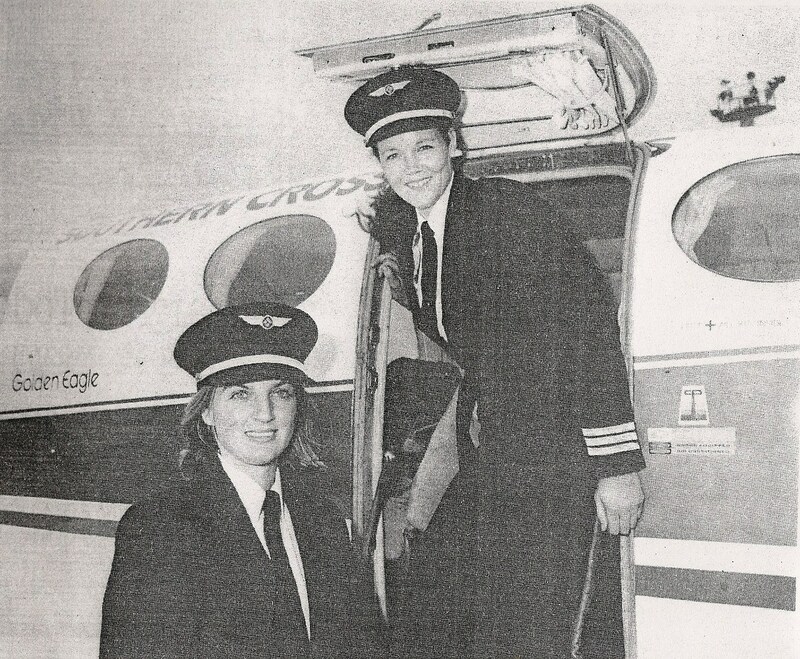 As the service became more well known the aircraft used was upsized to the Cessna 406 and then later to the Beech 1900C. Vincent Aviation continued to operate the Dominion service until very early January 2006. Reims-Cessna 406 Caravan ZK-CII with reflections in the puddles at Queenstown on 23 April 2000. The registration reflects CII's previous operator, Cityjet. 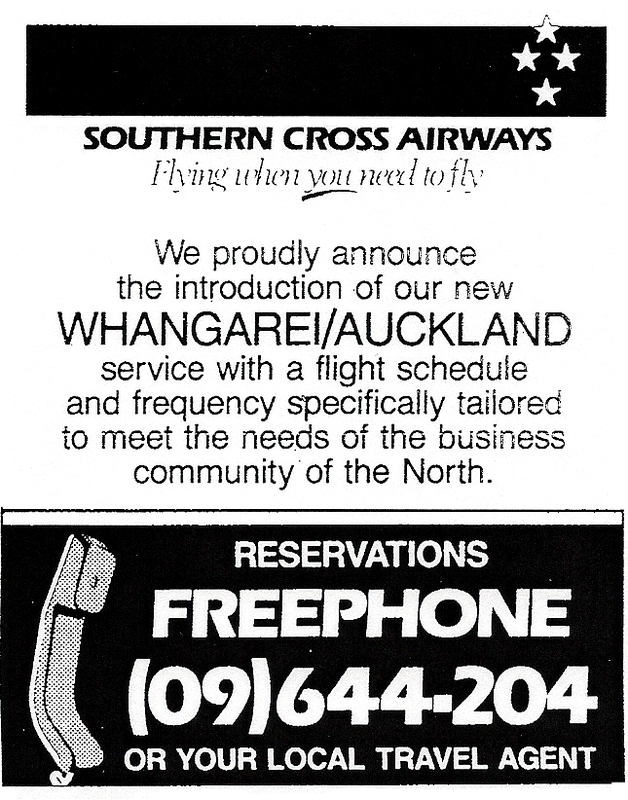 It was later re-registered ZK-VAA and before becoming ZK-XLC with Gisborne-based Kiwi Air. Reims-Cessna 406 Caravan ZK-VAF on a charter to Greymouth on 12 September 2008. This aircraft was also used for Airways Corporation calibration work... not the branding at the rear of the fuselage. Perhaps Vincent Aviation has become best known in New Zealand for their charter work for Air New Zealand. 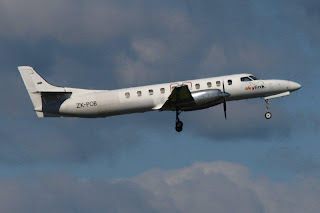 For a number of years Vincent Aviation had two Beech 1900s, Beech 1900C ZK-VAE and Raytheon 1900D ZK-VAD, being regularly used services between Wellington and Whakatane, Wanganui, Westport, Blenheim and Timaru, and south from Blenheim to Christchurch. These aircraft were also used as back up for Eagle Air’s Beech 1900s. Both these aircraft went to Australia with ZK-VAB being cancelled from the register in August 2010 and ZK-VAE in October 2010. Raytheon 1900D ZK-VAB arrives in Christchurch on 31 August 2006 after flying the morning Eagle Air service from Wellington and Blenheim. Vincent Aviation's De Havilland Canada Dash 8 ZK-VAC was also a regular back up aircraft for Air Nelson’s Bombardier Q300s. Later it also saw service in Australia and the Pacific before being cancelled from the New Zealand register on the 9th of December 2011 and being exported to Denmark. In September 2009 Vincent have acquired an ex-Origin Pacific British Aerospace Jetstream 31, ZK-JSH, for calibration work for Airways Corporation in New Zealand and the Pacific, though this aircraft also did back up service for Eagle Air. Three further British Aerospace Jetstream 32s were to follow. ZK-LFW arrived in May 2012 and is used for the Life Flight air ambulance while ZK-VAH and ZK-VAI arrived in July and November 2012 respectively and have been used to operate Eagle Air services. In 2010 Vincent Aviation sought to rekindle the New Zealand corporate aircraft charter market and offered charter around the country using a Cessna 510 Mustang light jet ZK-MUS which was leased from Wellington property developer Michael Garnham for the service. Vincent Aviation began operating Air National BAe 146-200 ZK-ECO in June 2011, with the aircraft retaining the Air National logo on the tail. On the 5th of March 2012 was rolled out in Vincent's livery and made a local flight along with a camera ship to conduct some air to air shots. The 146 has done charter work in New Zealand but most of its work has been in Australia until the collapse of Vincent's Australian operation in 2014. First flight in Vincent colours, BAe 146-200 ZK-ECO gets airborne from Wellington on 5 March 2012. In late May 2014 Vincent Aviation's much larger Australian operation went into receivership. The New Zealand operation followed suit and was replaced in receivership on the 23rd of October 2014. Peter Vincent was reported as saying the application to liquidate its New Zealand operations related to lease and maintenance provision payments for a BAe 146 aircraft. “The problem is the income generated by that aircraft is caught up in the Australian receivership, but the costs in relation to that aircraft are coming back to the New Zealand entity." The Australian business, although a subsidiary, was much larger than the New Zealand operation and the level of cost that had come back was difficult for the smaller New Zealand business to withstand. A few days later, on the 28th of October 2014 Vincent Aviation was placed into receivership. Have I left out any of their scheduled services? Who took over the courier service up the East Coast - Sunair, Air Freight or Air Napier? Do you have any start/finish dates for their scheduled operations? Any other information or interesting stories information regarding Vincent Aviation’s operations in New Zealand? Is Air New Zealand looking at new routes and a new type? ...after all it's only 20 years or so ago that they operated these routes with Friendships! Skylink is very pleased to announce that we can now offer passenger charters from the Lower South Island !!!! Traditionally an aircraft of this size would need to be ferried into the region at the expense of the person who has charter the aircraft – effectively we have now halved the cost of air charter from Timaru / Oamaru / Dunedin / Invercargill / Queenstown and Wanaka !!! 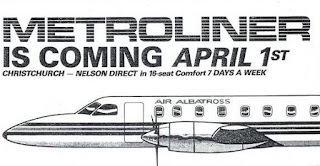 The Metroliner is the largest aircraft available for charter south of Christchurch seating 18 passengers and can fly direct to most North Island cities. Skylink Air Charter has been operating since 2001 and is a member of the Airwork Group. Skylink Metroliner ZK-POB on training at Auckland on 10 August 2008. "We wish to advise that from the 18th March 2010 all fares have increased by $5.The increase has been bought about by landing fee increases (some by as much as 42% !!) and fuel prices are currently at 18 month highs which, of course, has a dramatic effect on our margins. We have absorbed as much of these increases as possible but ultimately we need to pass a percentage of the higher costs on to passengers. This is only the third fare increase in eight years and one that we have held off doing until the end of the Summer season." Soundsair are still the cheapest way to cross Cook Strait (unless you are lucky enough to catch a grabaseat). I've used them a couple of times from Nelson and Picton... a great way to fly! Capacity left on positioning flight from Whangarei to Paraparaumu this Thursday, $88 per seat, call 0800 777 000 to book. An increase in flight capacity to Wanaka Airport by domestic carrier Eagle Air is unlikely, despite pleas for change from Lake Wanaka Tourism (LWT) and Wanaka's Chamber of Commerce. Eagle Air chief executive Carrie Hurihanganui met members from LWT and the commerce chamber on Thursday evening in Wanaka at a forum set up by Queenstown Airport Corporation CEO Steve Sanderson. Ms Hurihanganui told the 50 people at the meeting that Eagle Air's daily noon flight schedule into Wanaka Airport was "unprofitable". The Wanaka flight to and from Christchurch was "marginal at best" and although it was not Eagle Air's "lowest-performing route" it was in the bottom half of the domestic carrier's 21 destinations, she said. There had been a "reasonably static" demand for the existing flight service, with passenger numbers staying at about 70% of capacity during the past six years. Increasing capacity or changing flight schedules to Wanaka presented significant challenges to Eagle Air's overall domestic flight network, although these challenges were "in no way insurmountable", Ms Hurihanganui said. The proximity of a major airport and domestic network hub, at Queenstown, was a fact that Eagle Air could not compete with given the flexibility, extra scheduling, and number of carriers flying from there, she said. LWT general manager James Helmore said increasing air capacity in and out of Wanaka was a key objective for Lake Wanaka Tourism. Chamber of Commerce president Leigh Stock said the noon timing of Eagle Air's existing flight service was unsuitable for local business travellers and, as such, was "virtually ignored" in favour of travelling to fly out of Queenstown. Many business owners at the meeting asked if Eagle Air would consider a change in flight scheduling to allow for morning and afternoon flights in and out of Wanaka Airport. Queenstown Lakes deputy mayor John Wilson said the number of people doing business out of Wanaka and wanting flights from the airport should not be underestimated. Eagle Air wanted to see growth in the region, Ms Hurihanganui said. The company would re-evaluate it's existing flight operations to see if more could be done to accommodate several valid points raised by those at the meeting, she said. However, any changes targeting Wanaka's flight services would have implications for Eagle Air's flight network and would mean another airport and line route would lose out. Nelson travellers being stung more than $400 for return airfares to Wellington are angered that Air New Zealand is charging such exorbitant prices. Businessman Andy Booth said it was going to cost him and his wife more than $800 to visit Wellington this weekend. "I just think it's immoral," he said. Air NZ says it lowered the price of its cheapest fares between Nelson and Wellington last October, enabling customers to get a one-way ticket for as little as $69. But many people, particularly frequent travellers booking within two weeks of their travel, are frustrated by how seldom those rates are available. Instead, they are paying closer to the top rate of $236 for a one-way trip across Cook Strait. "I don't think there's many cheap flights at all," Mr Booth said. His trip this weekend was prompted by receiving last-minute tickets to attend a show in the capital. He said he and his wife wanted to combine it with visiting their children, who attend university there. Instead of paying $800, they booked using airpoints gathered from a trip to Europe a few years ago. "Otherwise we wouldn't have gone." Mr Booth said he could not understand why the 30-minute trip was so expensive, and questioned why there was not a flat-rate fare for flying such a short distance. It would make more sense if fares became cheaper closer to departure time, in a bid to fill empty seats, he said. Mr Booth is not alone in his concerns. The owner of Mapua aquarium Touch the Sea, Murray Goss, travels between Wellington and Nelson fortnightly. He said cheap Air NZ flights had been hard to get since November. "I could usually get a flight somewhere up to $100, 10 days out. That's very, very rare now." Paying $180 or more to fly to Wellington was "ridiculous", he said. "The people who want to go to funerals are hardest hit." Mr Goss said he had complained to Air NZ link operator Air Nelson, and was told that flights were cut back during the recession and had not resumed. "Obviously people are flying again and the planes are filling up, so they should be putting on more flights." 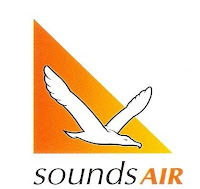 To beat the high prices, Mr Goss has been using Sounds Air. It offers internet fares of $95 and has doubled the number of flights it operates between Nelson and Wellington during the past year. "We could just see a hole in the market," Sounds Air managing director Andrew Crawford said. Sounds Air planes seat about 10 passengers. Mr Crawford said its flights were about 75 per cent full, and a new Saturday service had been fully booked since it started about six weeks ago. "Even we're shocked – that's quite rare." Lindsay Hannah, a Wellington-based acoustics consultant, arrived in Nelson yesterday on Air NZ flights that cost $420 return. "I just think that's normal. I don't think they have cheap flights." It had been that way ever since competing airline Origin Pacific folded, he said. Air Nelson general manager Grant Kerr was not available to speak to The Nelson Mail yesterday, but in a statement released through Air NZ he said most of the available fares to and from Nelson were "smart saver" fares, which started at $69. Before the price change last October, the cheapest smart saver fare was $73. 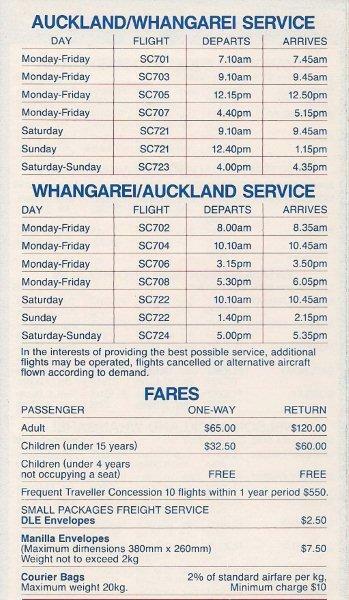 The starting price for a full "flexi fare" also dropped then, from $192 to $149. "In essence, the cheapest fares are the first to go," Mr Kerr said. The capacity of flights into Nelson had increased 44 per cent during the past five years, but the recession had curtailed growth and capacity was reduced by 5 per cent last year, he said. One of the joys of domestic travel in New Zealand at present is Air New Zealand’s grabaseat which certainly makes air travel affordable. It also enables the slightly plane crazy (like me) to do things like flying to Taupo for the day, just because I’d never flown to Taupo before. These days Air New Zealand Link offers 3 flights a day to Auckland and 3 flights a day to Wellington. 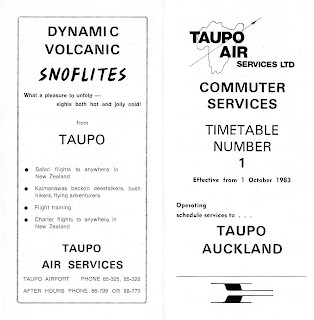 However, there are still traces of one of New Zealand’s smaller regional airlines, Taupo Air Services. 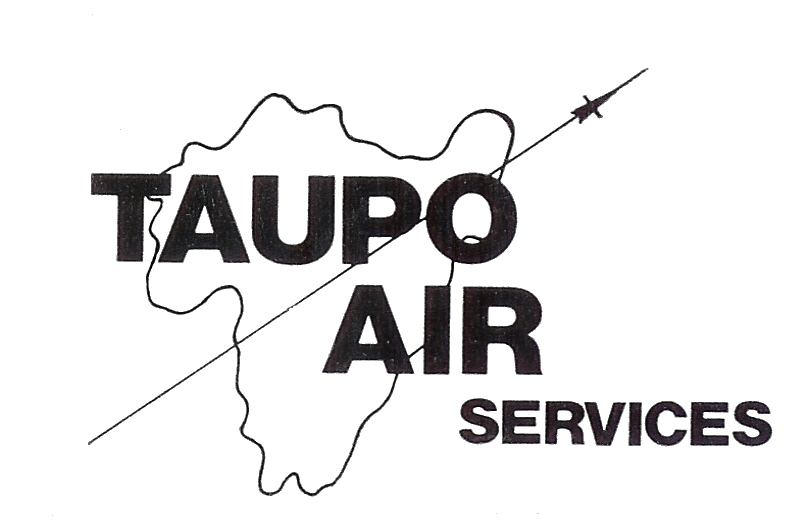 Taupo Air Services Ltd took over the light aircraft operation and the former maintenance facilities of Air Central after they moved their base to Napier in 1978. 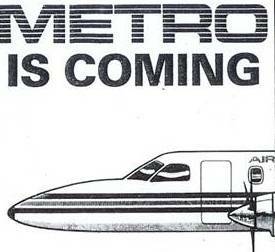 Air Central continued operating its airline services through Taupo but ceased flying in January 1982. At an Air Services Licensing Authority hearing in Rotorua later that year the ASLA chairman noted that it was a requirement of every air service licence that the licensee would not abandon or curtail the authorised service without the consent of the Authority. Air Central had failed to do this and so their licence was changed, the company losing the right to operate scheduled services between Rotorua and Tauranga, and between Taupo and Auckland. In a hearing immediately following the loss of Air Central's route approvals, the Authority awarded the Taupo-Auckland scheduled service to Taupo Air Services Ltd to enable a daily return service between the centres. 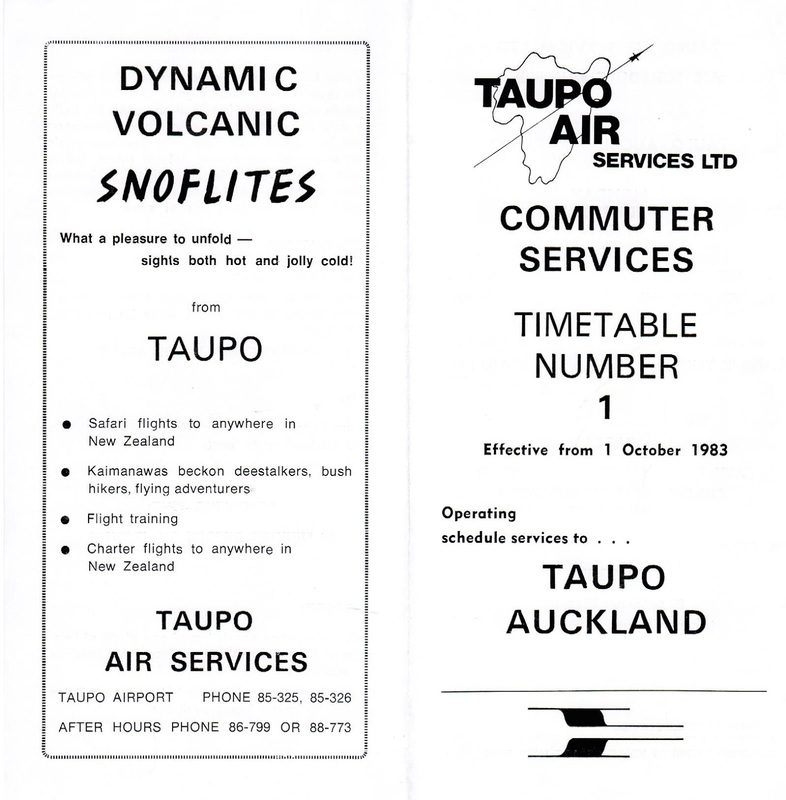 The Taupo operator aimed to complement Air New Zealand services, enabling a same day return, with either a Cessna 402 or Cessna 337. 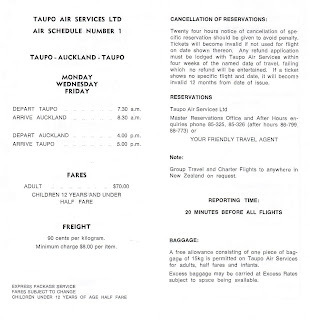 At the time Air New Zealand operated two flights to Taupo each day. An early morning flight from Auckland continued on to Wellington, via Wanganui. The reverse route was flown in the evening. Cessna 337 ZK-DFT at Taupo 15 December 1983 shortly after the service commenced. 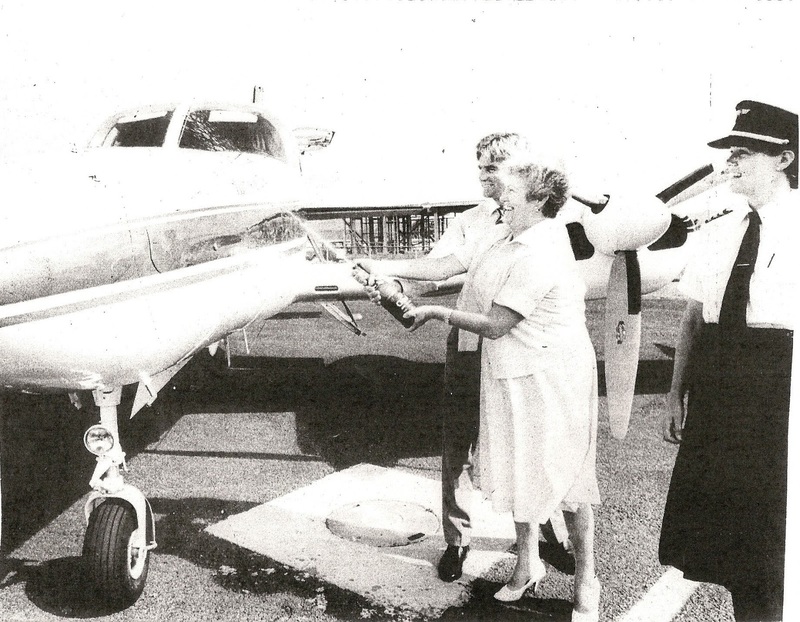 Scheduled services began on the 12th of October 1983 initially using Cessna 337 ZK-DFT on a Monday, Wednesday and Friday. A Saturday morning return flight was also operated in the service’s latter years. The fare was initially $ 70 each way. 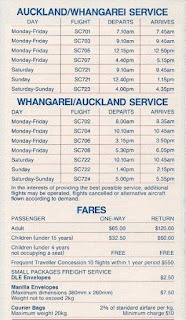 27 years later a Grabaseat fare can be as low as $29 with other fares ranging between $ 69 and $ 299. Ironically it is still not easy for Taupo business travellers to travel to and from Auckland. The first northbound flight leaves at 9.05am. I happened to meet a friend who need to fly from Taupo to Auckland for a funeral and so had driven to Rotorua to catch a flight. He was told that drive would take an hour but road works meant his travel was well over an hour and a half and he missed his flight! The scheduled service continued after the Friendships were replaced with Eagle Air’s Bandeirantes using both the 337 and 402. Richard Porter, one of Taupo Air Services two pilots at the time told NZ Wings in October 1991, "The 337 is the only way to maintain the service with light loadings. Our passengers are mostly Taupo businessmen so the lack of baggage space isn't too bad. Our competition out of Taupo is Eagle twice a day, but we still have local support." However at some point of this the scheduled air service did end but I have no record of when. 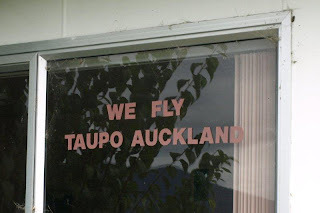 Today the only feature of the scheduled service still to be seen is the window of Taupo Air Service's hangar/terminal which boldly announces "We fly Taupo Auckland" - they might do, but sadly no longer on a scheduled basis. 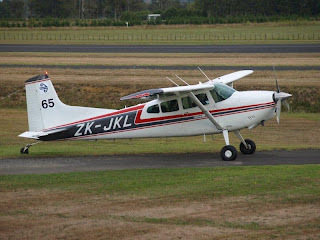 Also, their Cessna 172 ZK-DHU, one of the original planes that came from Air Central is often seen parked on the airport. Cessna 172, ZK-DHU, one of Taupo Air Service's original aircraft at Taupo on 23 January 2011.